Today, our economy follows a linear model where resources are extracted – products are made – and waste is disposed; “take, make, dispose.” The countless inefficiencies of our current economy are evident through every sector and every level of production and supply chains. The devastation of all natural resources, the over-production of good, the hazardous substances found in everyday products, the mountains and mountain of wasted materials in landfills, and the toxic emissions of waste incineration. As a result we have worsening climate change, people getting sick, and crises of environmental and social injustice due to resource exploitation all across the globe. We are overexploiting earth and its precious and finite resources, which have become the sole foundation and fuel of our societies and our economy. Yet if we keep consuming at this rate, we already know there will be serious struggle for future generations. We have mastered industrialization. Now its time to stop, and try something different. Luckily, just as humans are selfish, gluttonous and narrow minded, we can also be quite ingenious – and when we enter survival mode, we actually manage to connect logic with creativity. This realization that things have to change has slowly motivated a new way of thinking, a brand new economic model that follows the natural cycle of the earth, and which addresses all the inefficiencies we are causing today. While I will provide a synthesized overview and some examples, I would recommend you also read up on the work and research carried out by the Ellen MacArthur Foundation to find out everything we know so far about transitioning to a circular economy. You should also check out their youtube channel with hundreds of videos and lectures. A circular economy is all about maximizing resource efficiency, and eliminating planned obsolescence. For this, circularity must start at the design stage, and consider the entire life cycle of a product. Manufacturers must design a product to facilitate reuse, reparability and recyclability. Taking into consideration the materials that are used (containing no hazardous substances), the design, energy efficiency (if applicable), and most importantly, consider what will happen with this product when it no longer serves its purpose. Take the example of a simple office chair. Under a circular design model, the product would be designed so that all of its parts are separable. This way, when the arm or a wheel breaks, it can be easily repaired by simply replacing the broken piece. Many examples of these products exist, check out the Cradle to Cradle products program for more examples. A circular economy is all about maximizing resource efficiency, and eliminating planned obsolescence. For this, circularity must start at the design stage, and consider the entire life cycle of a product. A circular economy is not just about efficient products and minimizing waste, but about asset sharing and smart services. Take the example of today’s very popular sharing platforms; blablacar, Uber and Airbibn. Through the amazing power the internet has to connect people, these platforms create a space for the sharing of transportation and hospitality. Rather than building more cars and hotels, the already existing resources of people’s homes and personal vehicles are used to their maximum potential. Another approach to circularity in manufacturing requires us to re-consider our entire relationship to the things we own. Many things, we buy in order to serve a specific purpose. For example, when we move to a new house we will have to buy a fridge, a stove, a washing machine, a dryer, all kitchen appliances, etc. However, we may have never considered that we don’t actually need to OWN these items; we just require their service, until the day that we don’t. Companies that run on a circular business model are on the rise. The answer is; Renting services! These companies rent out a product and require the customer to return the product to the company when it has been broken and needs repair, or for upgrading to a newer model. Under this business model, the company has the responsibility to re-use all the materials in the product and keep them in the loop to create new ones; creating a circular supply chain. A company is no longer selling products, but rather selling products as services. Lets take the example of popular items every European owns; cell phones and light bulbs. These items are often accumulated in drawers with a bunch of other miscellaneous things that we are unsure how to dispose of. Companies are beginning to extend producer responsibility in order to recover the product, re-use its material, and dispose of it safely. For example, Vodafone has a plan where you can rent out the newest phone for a year with the opportunity of swapping it for the newer version when it is released. Another example is that of Philips “lighting as a service” model. Rather than charging up front for lighting installation costs and for every single bulb, Philips creates a contract for a certain number of years during which the company takes responsibility of all installation and reparability. This way, the company can ensure the safe and sound environmental management of its products by taking them back for recycling or upgrading. The responsibility of what to do with products at their end-of-life is left to the producer, not the consumer. 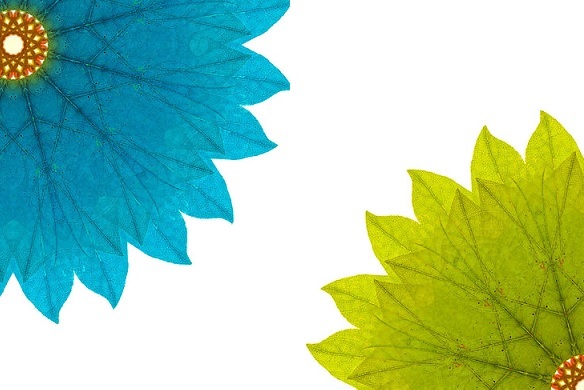 Circularity is even being recognized in the textile world. While most of our clothing today is already being made from plastic bottles (in case you did not know, polyester = plastic), recycling jeans to make new ones is also a common practice. However, MUD JEANS in Amsterdam has found a way to keep all their materials in a loop. For 7.5 euros a month, customers can wear any pair of high-quality jeans they choose and exchange them for a new pair when they want. Most people may use the economic argument that for the same price one can purchase a pair of jeans in today’s fast fashion world, and it is true that only the Dutch tend to spend over €100 on a pair of jeans (therefore for Dutch standards this rental price is quite good). However, this is just an example of models that can and will be replicated throughout the world. While it is uplifting to see many businesses already testing or selling circular products and services, the ones who are are doing so on a voluntary basis. They have taken the initiative to be pioneers in the transition to a circular business model. However, the true benefits and potential of a circular economy requires more than a few companies making efficient products, it requires all players in the entire production and supply chain to get on board. Extended producer responsibility must become the norm. An effective transition to a circular economy requires a great deal of legislative guidance, and immense political will. Without the right policies, circularity will remain a green stamp on businesses’ sustainability efforts. All players must be connected in a closed loop in order to achieve the benefits of a truly circular economy. 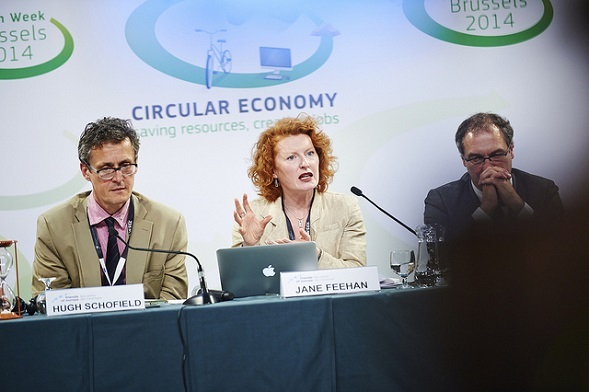 What is the EU doing to push the transition to a Circular Economy? In December 2015, the European Commission released the Circular Economy Package and Circular Economy Action Plan. This plan lays out a number of policy actions to be carried out over the years in order to create the foundation for the transition to a circular economy in Europe. The EU is currently or due to revise a number of different directives that in some way or another play a role in shaping the way the European supply chain operates. From the revision of the directives on eco-design, waste, and renewable energy, the principles of a circular economic model are slowly being introduced to relevant legislation. However, environmental NGOs are unsatisfied with the level of ambition of the Circular Economy Package. For example, while the package has a strong emphasis on increasing recycling, it is much less focused on prevention and improving resource efficiency. A circular economy is much more than a recycling economy. The EU depends on the rest of the world for the vast majority of its primary raw materials. Therefore, the Circular Economy Package must focus on decoupling economic development from resource consumption, and to reduce Europe’s dependency on the import of primary raw materials. For more insights on how the CEP needs to be improved, read the European Environmental Bureu’s (EEB) position paper. Circularity is not only the alternative, but it is a necessity if humans want to continue to prosper on this earth for generations to come. As the coalition of the most developed nations, the European Union has the capacity and the moral duty to lead the world towards a circular model of life. The EU must accelerate its efforts towards implementing and improving the Circular Economy Action Plan, and give priority to minimizing the exploitation of primary raw materials in order to protect both human and environmental health today and in the future. Circularity is not only the alternative, but it is a necessity if humans want to continue to prosper on this earth for generations to come. From all types of electronics, to your everyday pair of blue jeans, the good news is we no longer need to extract new resources from the earth to produce pretty much anything anymore. We have the model, we have the expertise, now we just need strong policies to implement, and to close the loop all the way around.